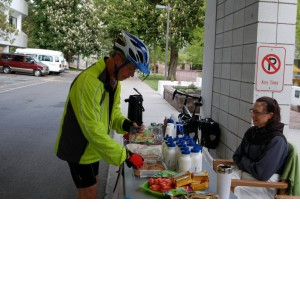 The Spokane Bicycle Club is offering a bike corral for Bloomsday participants. The Club is providing secure attended FREE bike parking for anyone who would like to bike to the start of the race. We’ll be accepting bikes at our bike corral in Riverfront Park, from 7:30 AM until 2:00 PM. Riders are welcome to leave warmup clothes, picnic baskets, etc. with their bikes. We’ll take care of it all. Note: Bags are subject to security inspection before being accepted into the corral. Location: Riverfront Park, Clocktower Meadow. 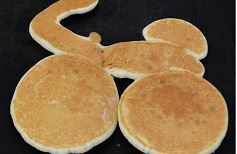 The purpose of the potluck is to thank those who have given to the SBC Ridge Riders team and to give members and guests the opportunity to push the team over its fundraising goal of $10,000. Additional contributions can be made by cash, check or on line by specifically identifying the SBC team: https://fundraise.worldreliefseattle.org/team/213273. · Jamie and Paula Sutherlin, with the help of their good friends, Gowtham and Susi TirumalaReddy, are preparing the main meal for the potluck. The Indian dish is: Sambar, a vegetarian soup, with Dal and rice and Briyani Lamb with a different rice. · Attendees to bring salad, bread and other sides. There will be a brief program about the World Relief Refugee Program and the SEA TRI KAN ride. Spokane Bicycle Club ride - ALL WELCOME. Helmet required. Enjoy spectacularly scenic portions of the Centennial Trail, then swing by REI for flat-fixing tips from the pro's. 9 miles. 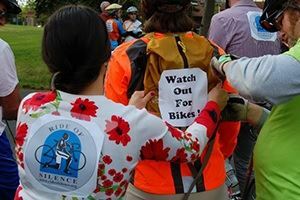 Chief Garry neighborhood, 1 p.m.
Spokane Bicycle Club ride – ALL WELCOME.Helmets required on ride. Meet at Comstock Park, south end. Ride thru scenic neighborhoods and a proposed southside greenway. Cookies in the park afterward. 6 miles. 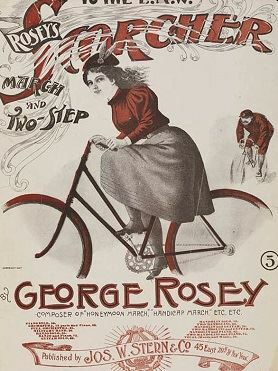 The bike was a great liberation tool for women in the early 20th century. Fussy clothing and corsets gave place to more bike-friendly attire. 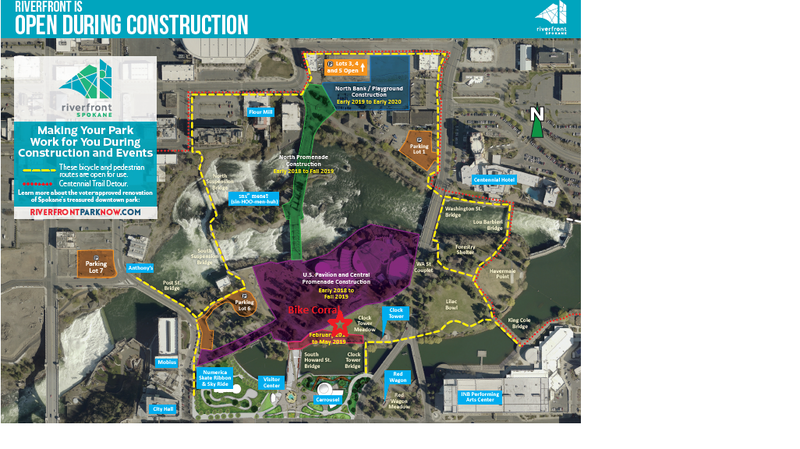 City of Spokane engineer Brandon Blankenagel will lead a bike ride to explore a proposed route through High Bridge Park, connecting Sandifur Bridge to the Fish Lake Trail at Milton St. Some unpaved path – mountain bike suggested. 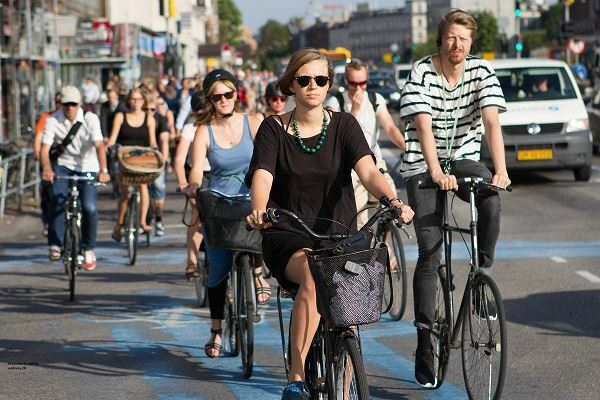 Danish cycling expert, Troels Andersen, and local expert, Spencer Gardner, will present interesting insights on bicycles and infrastructure in Denmark, also what other US cities have accomplished with improved infrastructure. Q&A after lecture. 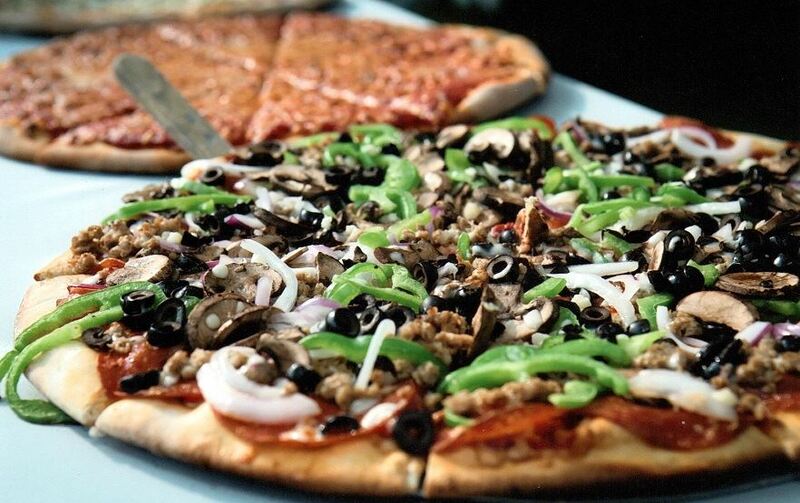 We’ll celebrate National Bike Everywhere Day in style with beer and free pizza at David's Pizza. Be there to win door prizes and celebrate! All May bike riders are welcome– utility riders, racers, recreational riders, parents coaching their kids' biking (Yeah! – nurturing the next generation of cyclists). Spokane Bicycle Club ride - ALL WELCOME. Helmet required. Tour three recently created natural areas on southside, plus Ben Burr Trail (north end). Optional hike in Hazel's Creek natural area at end of bike ride. 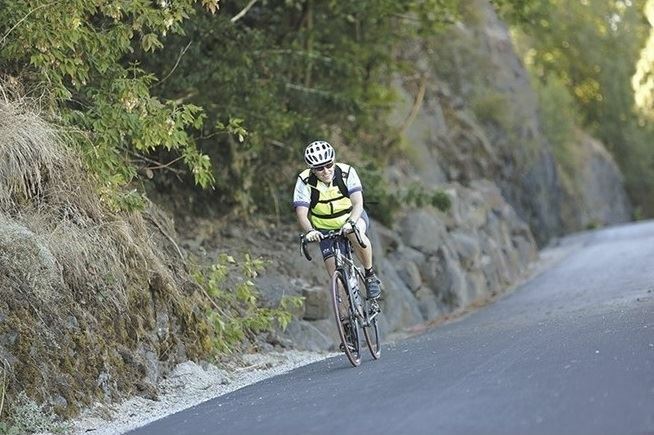 Ride the Children of the Sun Trail to it's southern terminus in Hillyard. 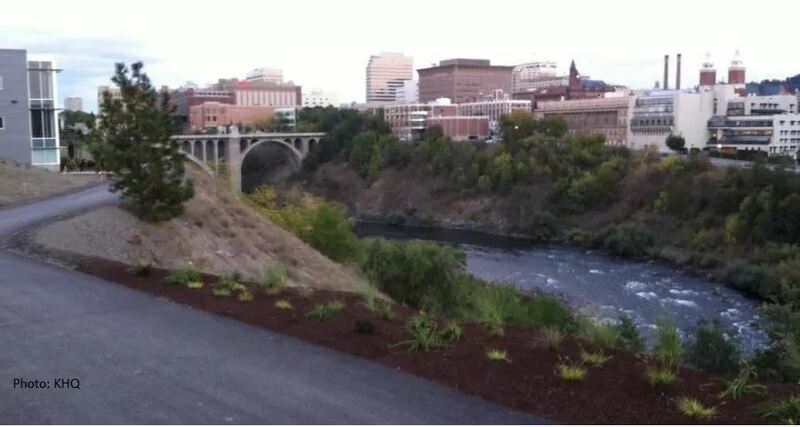 We'll discuss details of the planned extension of the Trail to the Spokane River. 9 miles. Spokane Bicycle Club ride – ALL WELCOME. Helmets required. 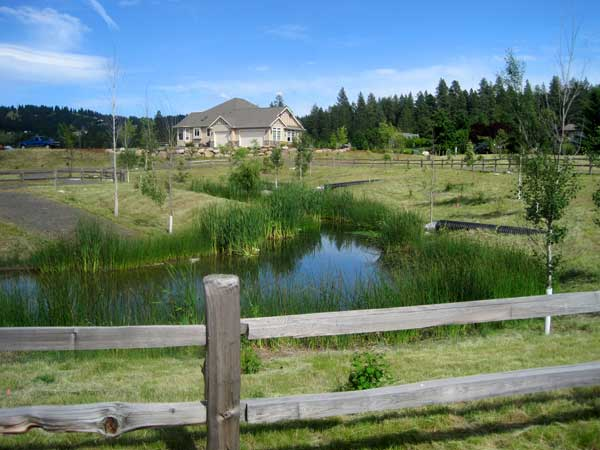 Explore Latah Creek paths, Highbridge Park, quaint Vinegar Flats neighborhood. 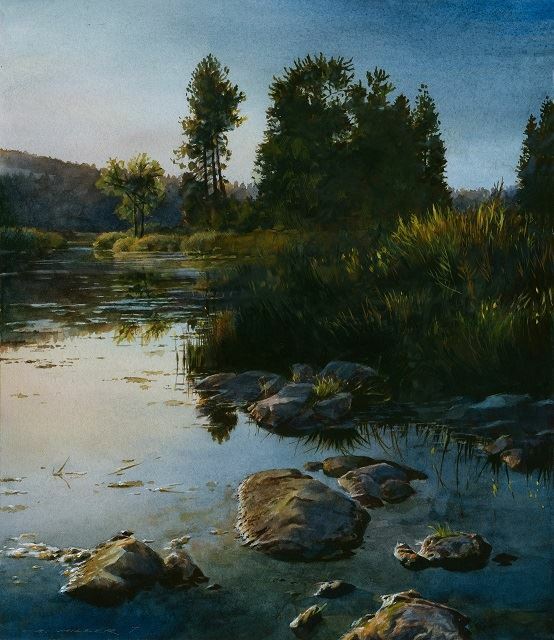 We'll be joined by an expert from Inland Northwest Trails, a group that is working on a developed trail in this area. Frequent stops as we explore existing little-known trail connections, and discuss future plans for the area. 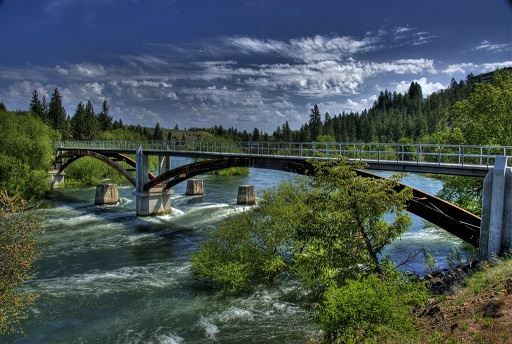 Plan on about 2 hours of entertaining exploration.Mixture of compact gravel and paved roads.Spokane Bicycle Club Ride - ALL WELCOME. Helmet required on ride. Ride this convenient new trail to the east end of Spokane Valley, then loop back on city bike lanes. 9 miles. Spokane Bicycle Club Ride - ALL WELCOME. Helmet required on ride. 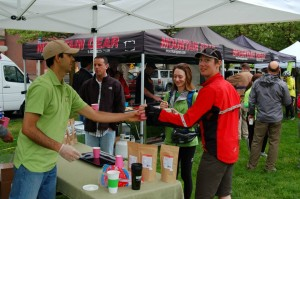 Riders will learn more about the Eastside neighborhood and find safe biking routes. Ride includes Ben Burr Trail, University District Bridge, Iron Bridge. End with a meal at Fresh Soul restaurant. The Spokane Bicycle Club (SBC) Tour Committee offers the following “Spoke & Hub” event in Colville, WA. Due to insurance purposes, registration is limited to SBC members only. Non-members are encouraged to 'join the club' ($20/year) and benefit from other advantages membership has to offer. Participants will meet and stay in the Colville, WA area. Looped day rides will begin at the fairgrounds near the center of town. Daily rides offered will include shorter distances at a leisurely pace and longer, more challenging rides at a faster pace. Ride details, including route and elevation gain, to follow. A social dinner at a local Pub will be organized for riders and guests. A registration fee of $25.00 for early registration (April 5th – May 17th) and $35.00 for late registration applies (May 18th – June 5th). Meals, transportation and lodging are up to the individual. Coleville has three motels. Camping (tents, trailers, and RV’s) is provided free at the fairground and includes clean restrooms and hot showers. The fairground is at a convenient location in town and is where rides start and end. Participants can choose to attend any or all dates of the Spoke and Hub tour, but the registration fee does not change. Registration can cancel for a full refund up to the end of May. After May 31st, the registration fee is not refundable.